The Centre for Public Interest Litigation (CPIL) has approached the Supreme Court seeking a direction to the Centre to notify appointment of those whose candidature for judgeship has been reiterated by the collegium. The petition, filed through Advocate Prashant Bhushan, drawn by Advocate Cheryl D’souza and settled by Senior Advocate Dushyant Dave, also seeks notification of appointment of those whose recommendations has been pending with the government for more than six weeks. The petition alleges that the Centre’s act of not notifying the names that have either been recommended more than six weeks back or have already been reiterated by the collegium is violative of the Supreme Court verdict in the case of Supreme Court Advocates-on-Record Assn. v. Union of India, (1993) 4 SCC 441 (Second Judges case), the principles of which were reiterated in Supreme Court Advocates-on-Record Assn. v. Union of India, (2016) 5 SCC 1. It has been settled in these cases that if the Supreme Court Collegium sends its recommendations to the union government, the government may send the name back for reconsideration by the Collegium. However, if the collegium reiterates its recommendation unanimously, the President is bound to issue the warrant of appointment. The petition points out six cases wherein the Centre has not notified certain appointments despite the fact that the collegium has reiterated their names for judgeship. Notably, it relies on a LiveLaw report titled, “Exclusive: Judges Appointments – A Ping Pong Game? Is indefinite sitting over the files choking the judicial system?”, wherein LiveLaw had collected data to expose the sad state of affairs in terms of judicial appointments. 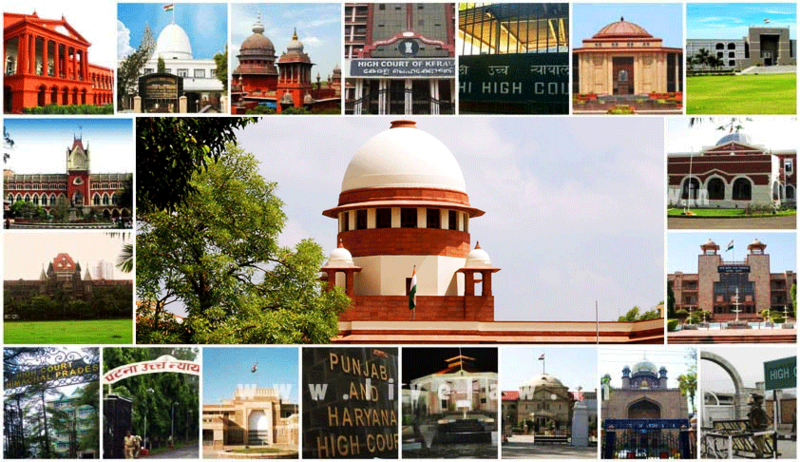 The pending recommendations pointed out by the petition are for the appointment of Justice KM Joseph as a Supreme Court judge, Justice Ramendra Jain as Punjab & Haryana HC judge, Judge Krishna Bhat as Karnataka HC judge, Advocate Bashrat Ali Khan as Allahabad HC judge, Advocate Mohammad Mansoor has Allahabad HC judge, and Advocate Mohammad Nizamuddin as Calcutta HC judge. This was despite the fact that while recommending him in January, the resolution signed by Chief Justice of India Dipak Misra, Justice J. Chelameswar, Justice Ranjan Gogoi, Justice M.B. Lokur and Justice Kurian Joseph had stated that they found Justice K.M. Joseph to be “more deserving and suitable in all respects than other Chief Justices and senior Puisne Judges of High Courts for being appointed as Judges of the Supreme Court of India.” The collegium had finally re-recommended him earlier this month. With regard to Justice Ramendra Jain’s appointment, the petition claims it to be a “striking case of executive interference and malafide action in completely bypassing the collegium recommendation and the law as laid down by this Hon’ble Court on judicial appointments”. Justice Jain was initially recommended by the Supreme Court collegium on 26 March this year. The Centre, however, sent back the file to the collegium for reconsideration. Nevertheless, the collegium reiterated the recommendation. However, despite the reiteration, the Centre, in an unprecedented act, extended his term as an Additional Judge of the Punjab and Haryana High Court instead. As for Mr. Krishna Bhat, who is currently a Principal District & Sessions Judge, Bangalore Rural, he was recommended by the collegium for appointment as a Judge of the Karnataka High Court way back in August, 2016. However his appointment was stalled after a sexual harassment complaint was received by the Chief Justice of India. The then Chief Justice of Karnataka High Court, Justice S.K. Mukerjee had then submitted a report to the CJI giving Mr. Bhat a clean chit. Despite this the government withheld his elevation while accepting the recommendations of five others, even though all the five were junior to Mr. Krishna Bhat. The appointment was then reiterated by the Supreme Court collegium in April, 2017. However, the executive then wrote directly to the Chief Justice of Karnataka High Court, Justice Dinesh Maheshwari, who ordered a fresh probe into the complaint against Mr. Krishna Bhat and submitted a report clearing him of all allegations. The names of the three Advocates in the list have also been pending with the Centre, despite reiteration by the Collegium. Thereafter, highlighting the growing vacancies and pendency of cases, it submits that the “stonewalling of judicial appointments by the executive for oblique and vested interests, amounts to interference in the due process of law and the independence and integrity of the judiciary”. The government’s inaction in notifying such appointments, it asserts, infringes on the independence of the judiciary and thus, violates Article 14 and 21 of the Constitution. It finally demands, “Thus executive interference and in this case non performance of its mandate in the judicial appointment process, has led to a virtual stalemate in the process of appointments to the Hon’ble Supreme Court of India and various High Courts. This trend has resulted in a serious negation of the rule of law and the independence of the judiciary.